Mind Out of Matter is a 74-minute, eight movement suite, that brings together Scott Johnson’s (composer) mix of pop sensibilities and classical rigor with his groundbreaking work in transcribing speech into music. 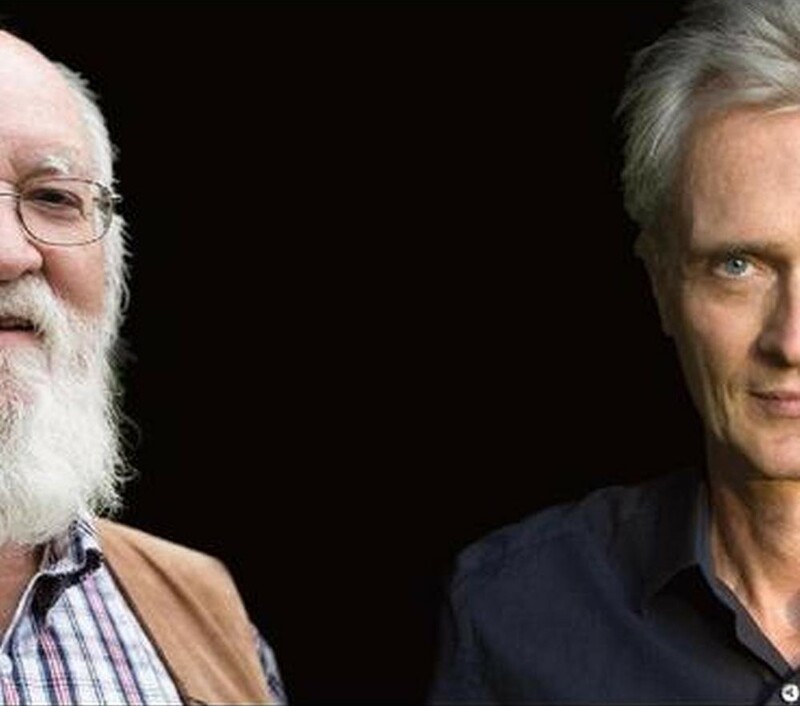 The album features the voice and ideas of renowned philosopher Daniel C. Dennett, whose voice delivers not only his ideas but also the melodies and rhythms at the heart of the music. Musical styles as disparate as retro-funk and Baroque recitative blend to illuminate Dennett’s central claim: just as living organisms evolve in the physical environment, ideas and traditions compete within ecosystems made up of human minds and cultures. Those evolutionary forces shape the religious ideas that populate our minds, multiply within our cultures, and spread like viruses — sometimes to our benefit, sometimes not.